Installers choose Tolko’s line of underlayment plywood for the proven consistency and superior performance of our panels. Consistent, strong underlayment is an integral part of laying flooring that will stand up to the rigours of everyday life. We’ve engineered a line of underlayment that you can trust to support your floors, and those of your customers. This commitment to quality has impressed both professionals and do-it-yourselfers with our product's proven consistency and performance. Tolko’s ink-jetted fastener guide facilitates speed and precision during installation. Our underlayment is manufactured from logs with diameters averaging 25cm (10") from managed, sustainable forests. This mean there’s no added urea formaldehyde (NAUF) so we can successfully meet the green building standards of our industry. 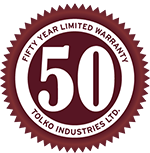 Professional flooring installers have known and trusted the Tolko ULAY™ Premium Underlayment brand for years. Engineered for superior performance, the super-smooth surface now has a convenient ink-jetted fastener guide and an extended 50-year limited warranty. We’ve built on our success with ULAY and developed T-PLY Pro Underlayment and T-PLY Select Grid CCHT. Tolko T-PLY™ Pro Underlayment makes it easy for the professional installer or the home handyperson to do the job right the first time. Whether you are laying resilient flooring or ceramic tile, your project will be off to a smooth start with Tolko T-PLY™ Pro Underlayment, backed by a 25-year limited warranty. Professional flooring installers have known and trusted the Tolko ULAY™ Premium Underlayment for years. Engineered for superior performance, ULAY is backed by an extended, 50-year limited warranty against delamination, discolouration, and punctures. With its smooth surface and dependable strength, ULAY is perfect underneath ceramic tile or vinyl flooring in new home construction and renovations. Engineered with waterproof, exterior-grade glue for greater panel stability and reduced tile cracking and popping – strong premium-grade core veneers prevent punctures. The precision-sanded, extremely smooth panel face with filled openings provide a uniform surface and will maintain the longevity of your flooring for years to come. Backed by a transferable, 50-year limited warranty against delamination, punctures, bleed-through, and discolouration of flooring. We’ve built on our success with ULAY and developed T-PLY Pro Underlayment and T-PLY Select Grid CCHT. Tolko T-PLY Pro Underlayment makes it easy for the professional installer or the home handyperson to do the job right the first time. 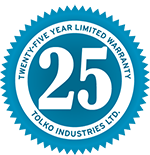 Whether you’re laying resilient flooring or elegant ceramic tile, your project will be off to a smooth start with Tolko T-PLY Pro Underlayment, backed by a 25-year limited warranty. Backed by a transferable, 25-year limited warranty against delamination, bleed-through, and discolouration of flooring. Call our plywood sales team to ask about underlayment.